To save you time and money I shall cut to the chase so that you can determine if this book would benefit you or someone you know. Consider the three following questions carefully:- firstly, are you now or have you ever been a parent? Secondly, do you believe that you are an average parent, one well within the bell curve rather than on either end of the extreme? Thirdly, during the period of parenthood, if you were or are one, did you ever clean your kitchen floor more than once a week? If so, this book will definitely help your children, and may even help you as a parent, vicariously. To be frank, I could have done with this book about 6 years ago. Instead I had to trundle about on my own, adapting mainstream guides to suit my own particular children. 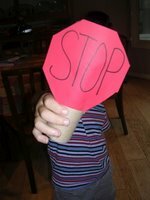 Because one of my children is a sensory 'seeker' and another is an 'avoider,' especially when the tactile defensiveness issue is dominant, I would have welcomed any additional tips and tricks. 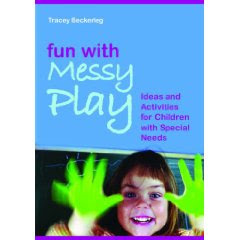 Anyone who is already familiar with sensory diets will also be familiar with many of the suggestions in Ms.Beckerleg's book but there are lots of additional useful suggestions and ideas. I also like her chapter on 'Things to remember.' This in part addresses what can occur when you have a group of children with differing needs. Her students were in the classroom, mine are all at home with me. Her 'real life' anecdotes and examples are heartwarming and hopeful, and we can all do with a dose of that. Don’t worry, the exchange rate is laughable at the moment and if you ever need any translations, just give me a tinkle.